E-mail is a standard communication tool. Unfortunately, it is also an ideal channel for social engineering and phishing attempts; protect yourself and your information. 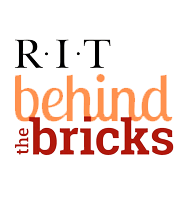 Visit the ITS E-mail Services page for RIT e-mail account set-up and usage resources. RIT requires all communications relating to Institute academic or business purposes to be signed with an appropriate signature. This includes e-mails from both RIT and non-RIT accounts, as well as MyCourses and Message Center communications. For more information on the new requirements, visit our Signature Standard web page.